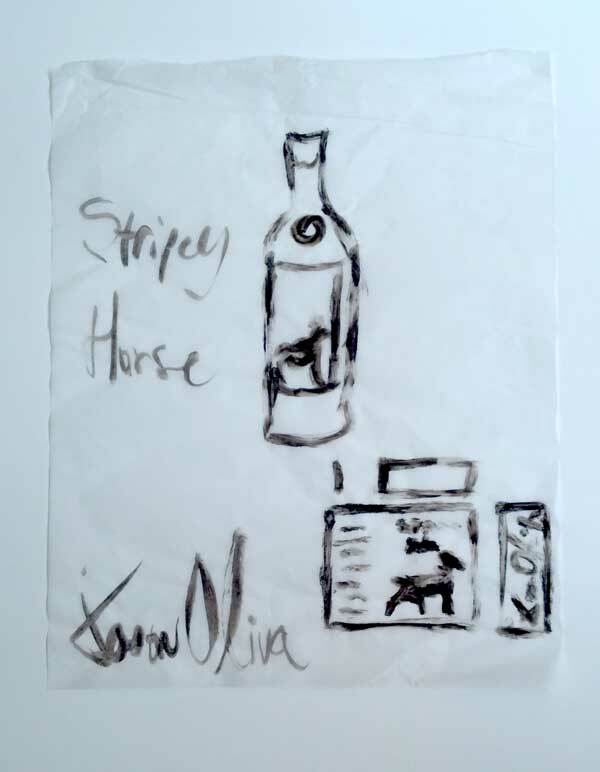 I thought it would be a cool time to share some of the design concept art and early stage label and bottle prototyping with everyone now that [Stripey Horse] will soon be amongst us. Its fun to look back and see how these things evolve from thought to reality. Hope you enjoy. If anyone is interested in acquiring one or more of the limited edition 250 signed and numbered bottles or joining the email allocation list for [Stripey Horse] and future releases of Jason Oliva [Wine] feel free to email me directly [Email Jason] or add your name here and I will get back to you with all the details. 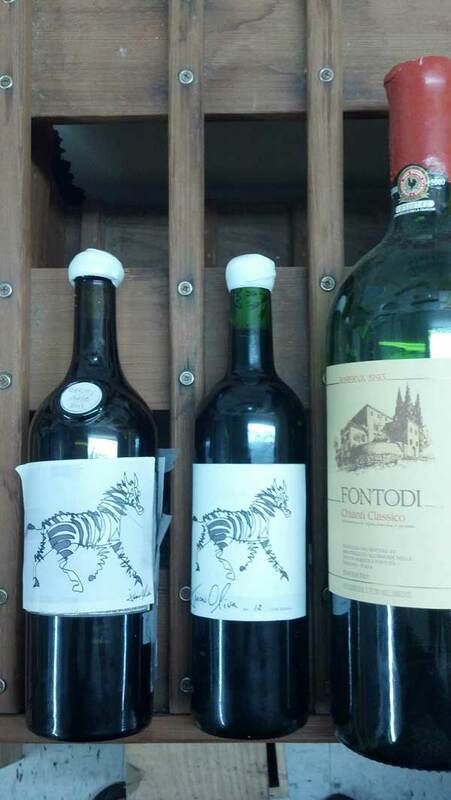 Bottle/label prototypes one and two next to a large format empty of Giovanni Manetti’s brilliant Fontodi Chianti. Next ‘Astronaut’ Medium Work on Arches Paper 2010 by Jason Oliva now available for you as an edition on paper.